In case you haven’t noticed, I sort of have a thing for matcha. I know it’s SO trendy… but I personally think it’s exciting to see really great healthy foods become insanely popular. 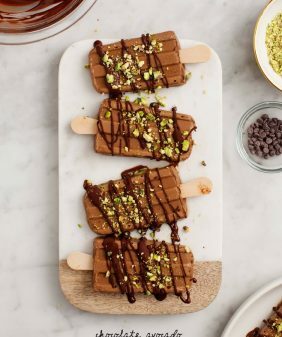 Everyone’s drinking matcha lattes and matcha mochas these days – but now that it’s almost summer, here’s a really simple ice cream treat. 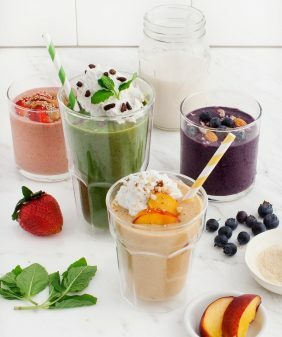 This one’s really more of an idea than a “recipe.” I didn’t even bother breaking out the blender to make these milkshakes because in the spirit of our “grab and go” monthly series with Almond Breeze, I wanted to make these simple enough to shake and run. Mix a little almond milk and matcha until it’s well combined (you can use a regular whisk if you don’t have a cute match whisk). Add it to a jar with a scoop or two of ice cream. Shake it and stir it until it gets a little melty and enjoy! 1-2 scoops vanilla ice cream (I used vegan coconut ice cream here, but use whatever you like). In a small bowl whisk your almond milk and matcha together. (Tip: If your matcha is lumpy, strain it with a tea strainer). 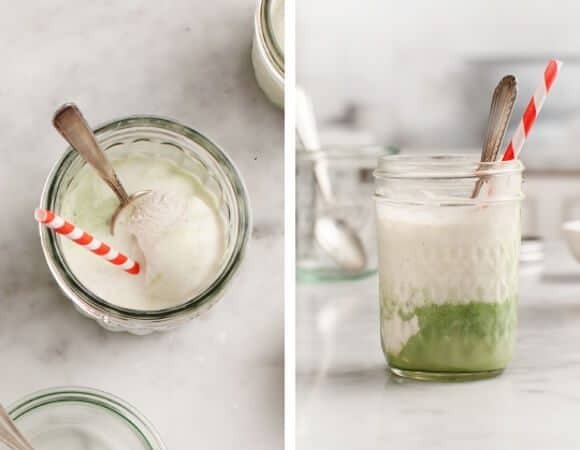 Pour your "matcha milk" into a jar, add ice cream. Shake. Let it soften a bit. Stir and enjoy! 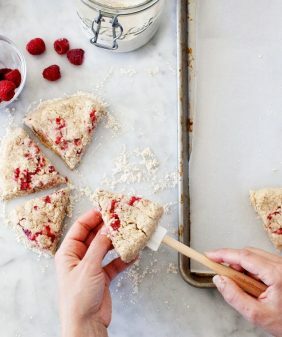 As simple as this recipe is, I would have never thought of doing it like that! Thumbs up!!! Absolutely stunning! I’ve been wanting to use matcha for so long now and this is sending me over the edge! thank you for the great idea, I’m also a matcha fan and loves to drink green tea latte since I don’t drink coffee. It looks so yummy! Hi, we don’t have Matcha in Ireland. It looks super. Got to get some. Yummy! You have the best matcha recipes! This looks amazing – definitely trying it out in the warmer weather! Well, if there is a matcha mad people club- count me in! I’m adding matcha to anything I can these days! And I’ve just prepared one of matcha smoothies too! I’m starting to be really concerned with the ALMOND MILK use. My work (conservation) makes me hyper aware of the more than a gallon of water needed PER ALMOND. This is probably my favorite drink for the summer season! Matcha and vanilla are made for each other =) If you add some sweet azuki to it, it will add a nice texture for sipping! 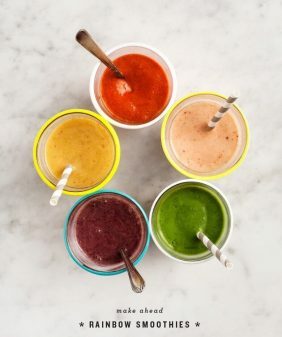 This sounds like the perfect milkshake to cool down with on a hot summer day! I love using almond milk for all my smoothies and shakes! This matcha shake sounds delicious 🙂 thanks for sharing! Yum!! 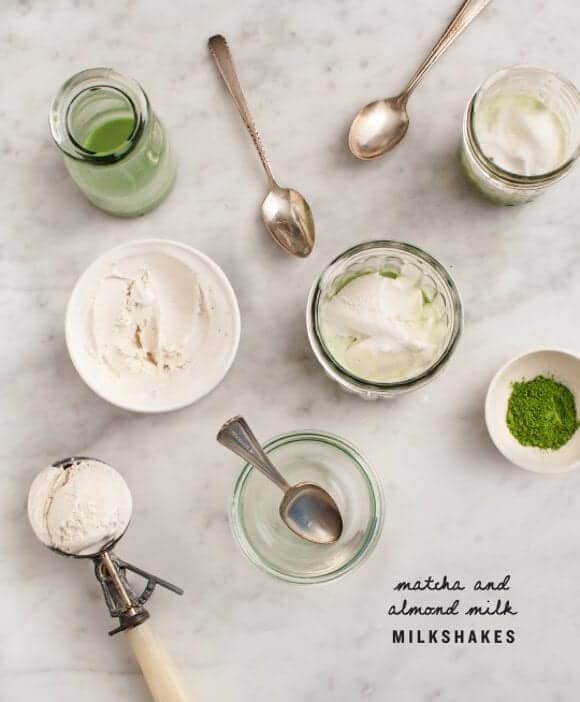 I love milkshakes and I love matcha so this is definitely something I’m dying to try! What a great idea! We’ll try this, greetings from http://luksusportal.pl/en ! 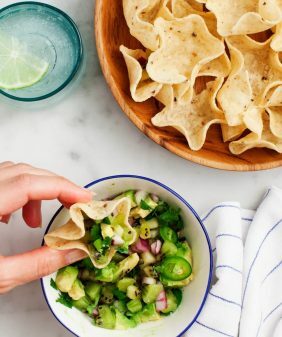 This is amazing recipe! Must be great for hot summer days! Your recipe is timely. I just discovered matcha and am anxious to learn new ways to enjoy it besides in smoothies. This sounds fabulous! Thank you, Jeanine! I LOVE your love affair with matcha because I’ve got one too:) I’ve been talking about these matcha milkshakes for two weeks straight. “Did you see her matcha milkshakes? !” You are my hero. 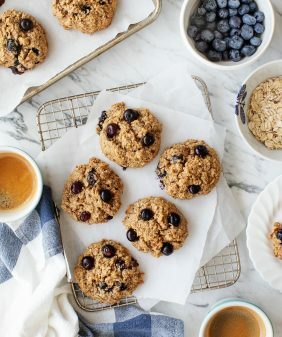 one of the best recipes i tried with matcha! thanks a lot and thumbs up for your pictures. love them!